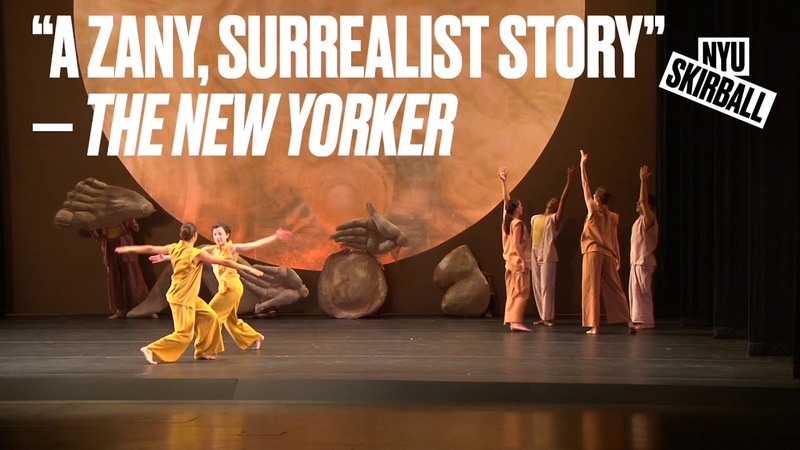 Fantasque, a NYC premiere, is an ebullient and magical pageant created by choreographer John Heginbotham and puppeteer Amy Trompetter. Giant puppets and human dancers join forces to create a fable of a battle of light and darkness, with a fantastical cast of characters featuring giant babies, blue angels, devils, rats, and a restaurant where the customers are tuxedo-wearing fish. Performed to live music composed by Gioachino Rossini and Ottorino Respighi, Fantasque ruminates on morality and immorality as seen through a child’s eyes in a series of connected vignettes bound by an unconventional and tender merging of puppetry and dance. After both matinees, kids are invited to take an up-close look at some of the fantastical creations and learn how puppeteers bring them to life. NYU Skirball’s “Serious Fun” family matinee series is made possible in part with generous support from Con Edison for family educational and enrichment programming.